Interested in improving women's health within ever-changing 21st century healthcare? Feel like you read about topics in the news you know nothing about? Realised your training has missed some essential topics? Then join UEA OBGYN Society in collaboration with UEA MidSoc for an exciting and informative day demystifying women's+ health! + Others to be announced! 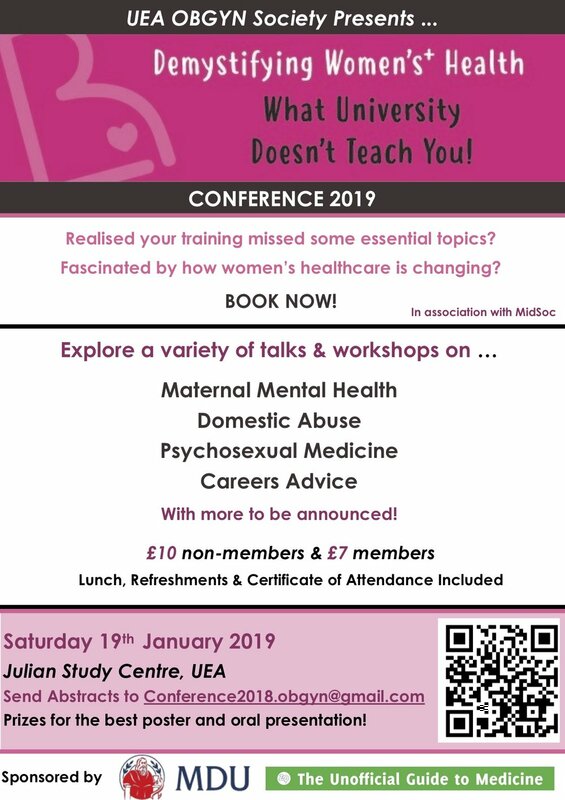 'Demystifying Women's+ Health: What University Doesn't Teach You' will be held on the 19th January 2019 in the Julian Study Centre at the University of East Anglia, with LUNCH AND REFRESHMENTS provided.